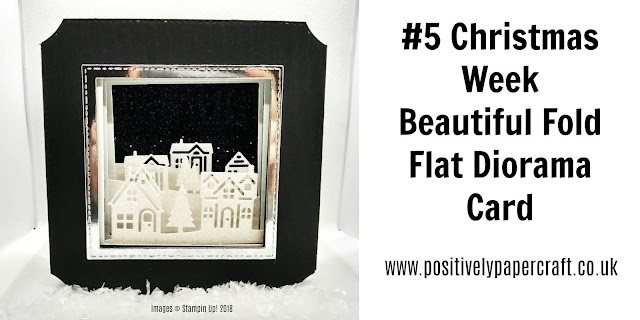 Welcome to my Blog & project #5 of my Christmas Week. If you watched my video the other day of a few new challenge entries, you would see a beautiful card from a Lady called Jowita. Her card inspired me to make this one. I must add that Jowita got this idea from the talented Olga Direktorenko. I have put the the link to Olga's video in my Youtube description. I love this card! Its so elegant and simple but just stunning to look at. I have to add that this is not the quickest card to make. There is lots of die cutting and sticking but its so worth it. The end result is just amazing. I used Dies to create most of my card. Having said that it is very difficult to give you measurements as you may not have the same Dies as me. 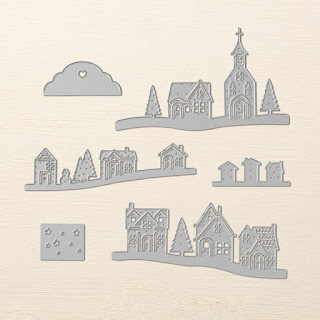 The little houses that you can see in the card are from Stampin Up! and you can purchase them from my online shop. 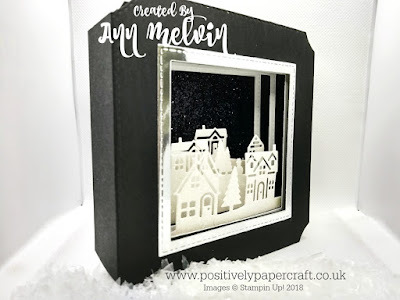 The black card, Glimmer paper & whisper white card are also Stampin Up!. The rest is just what i already have in my stash. In case you missed yesterdays project, #4 Christmas Week Adorable chimney gift box, i have popped the link below. I will be back tomorrow with project #7. Hi Ann, can you tell me what's the name of the die cuts you use to do the frames. THIS IS BEAUTIFUL. 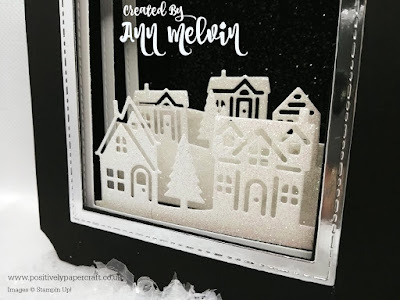 did you get the die cut frames from Stampin-up ? If so do you have the name of it ? Wow, this is amazing!!! Very elegant!